Have you ever heard of a swap? Well, if you familar with the Girl Scouts, a swap is a small keepsake that Girl Scouts make and exchange with other troops. When our troop leader mentioned that we'd need a swap for an upcoming Girl Scout event, I knew exactly what I wanted to make. 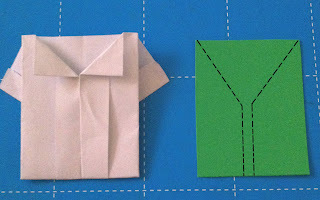 This cute, little swap is just a simple origami craft project. To make the little white shirt, you'll need a 5" x 5" square piece of white paper. 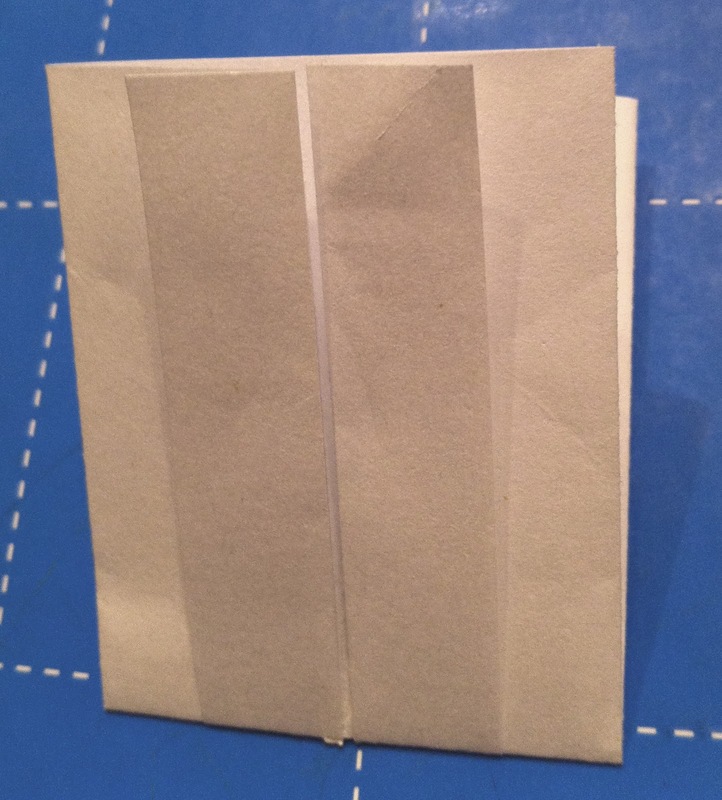 1) Fold the paper in half and unfold. 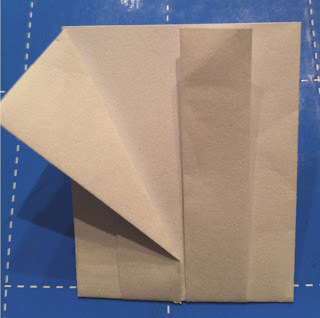 2) Fold just the edges of the two sides out, as shown below. 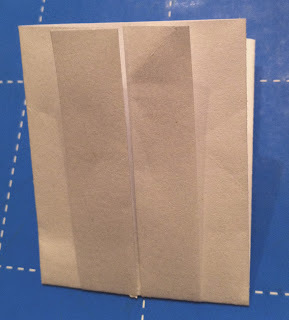 3) Fold the sides into the middle. 4. 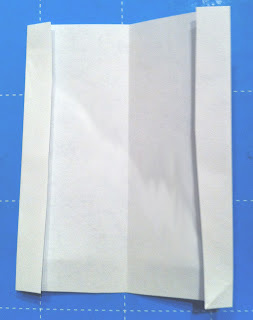 Fold in half, top to bottom, so that the seams are on the outside front and back. 5. 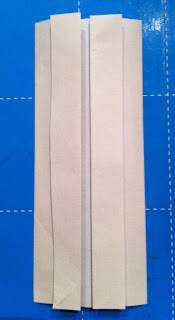 Fold the top two seams out, as shown. 6. Filp the paper over. Fold the corners at the top out to form a small collar. 7. Cut a piece of green paper in a rectangle, about the same size as the shirt. Cut out a "Y" shape on the green paper, as shown. 8. 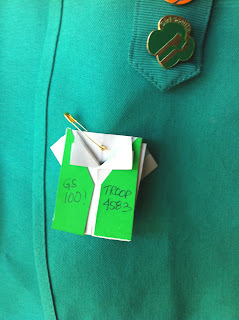 Use a glue stick to glue the green pieces directly on to the front of the shirt to make the vest. 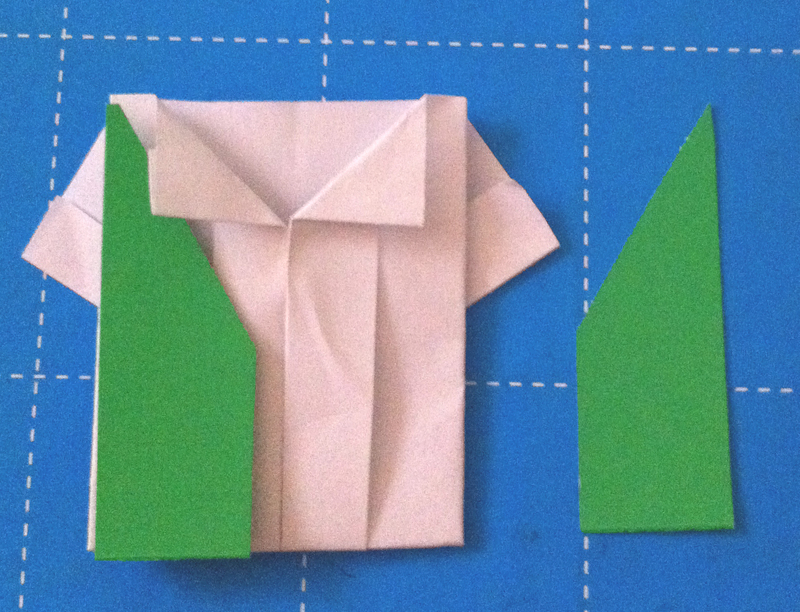 Viola - you have your very own mini origami Girl Scout shirt and vest! Just finish off the swap by writing the name of the troop on the vest and using a safety pin to pin it onto the vest.